Several years ago, before we purchased this house, we convinced the landlord to let us put new floors in. Looking back it was sort of a bold move but I was desperate to get away from carpet. Our son was sensitive to dust and no amount of vacuuming ever made it look very nice. At first the answer was no but after a few months of persistence he agreed. We chose a very inexpensive white washed floor, assuming in a couple short years we would be living somewhere else so this wasn't supposed to be an investment project. Fast forward almost 4 years and we are still in the same home, with the low budget floors we thought would only need to last us a year or two. While the floor we installed has done so much for reflecting light and making the space feel clean, if I could redo it I would go for a higher quality and a bit darker color. When Quick•Step approached me about trying out their laminate wood flooring as part of their RoomUP Blogger Challenge, I enthusiastically said yes! While it would be fun to redo every room we were not about to embark on a project of that size. Our bedroom seemed like the ideal place to give new floors a try. A space that I sometimes use for work and a personal space for my husband and I to read and relax when the kids are asleep, the bedroom needs to be a space that is distinct from the rest of the house. Choosing the right color was quite easy and after reviewing several samples I chose Quick•Step’s Dominion Steele Chestnut flooring after observing it in different lighting and against some of our stuff. I knew in my mind that I wanted to find something not only darker than our white wash but in a greyed out brown. Considering our bedroom's natural light along with bedding, lighting and furniture, I wanted to choose something that would work well with what we already had as well as a few things we had on our wishlist. 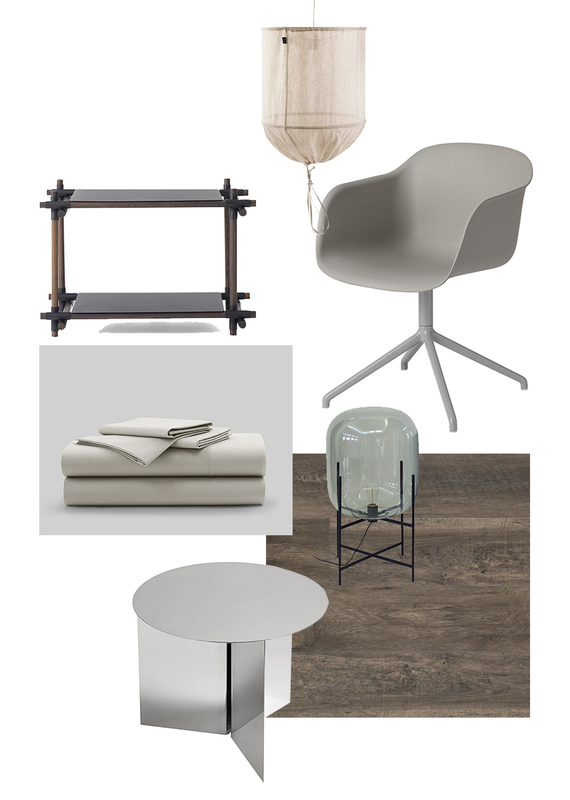 You can see from the moodboard some new pieces were blended with existing pieces in natural tones that would complement the new chestnut floors. Rather than a very warm or orange brown I was quickly drawn to browns with a faded, almost ash hue. Quick•Step has a large range of finishes and species, different thicknesses and surfaces so you're certainly not limited by lack of options. You can read in more detail about my process and here on Quick•Step Style and enter to win free Quick•Step flooring for yourself in the RoomUP Sweepstakes. Who doesn't want FREE flooring?! Come on. Get more inspiration from Quick•Step on Facebook and Pinterest. 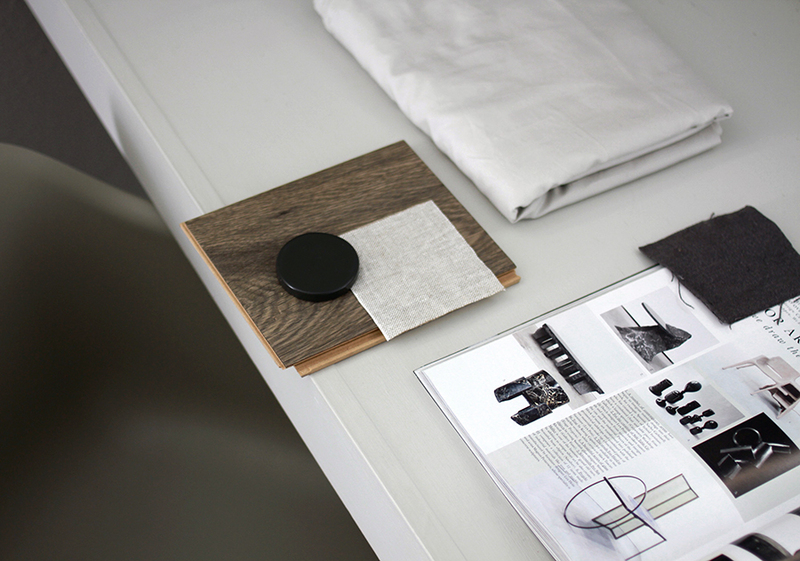 You can also download their Style My Floor app to see how their floors would look in your home.